Even though I really enjoy wine, I often like to pair cocktails with food. This drink, the Spicy Tango, complements Latin food because it’s a nice balance of spicy and sweet, with just enough heat. But it also works well on its own—my wife and I recently enjoyed these during our happy hour with Cheeze-Its! This is proof that there are no rules to drinking cocktails. Fill a shaker 1/3 full of ice. Muddle the cilantro leaves. Fill rest of shaker with ice. 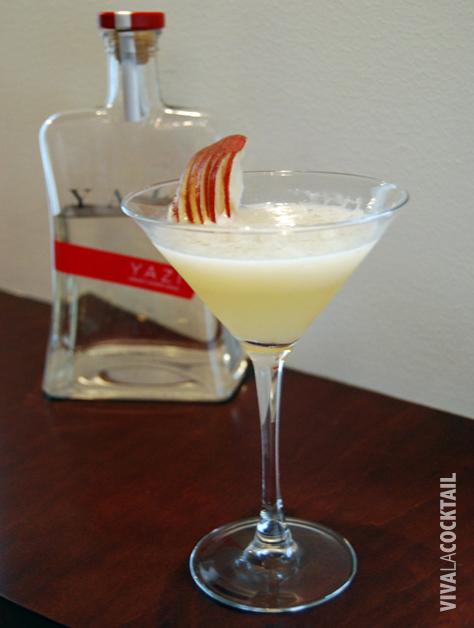 Add the vodkas, orange liqueur, lime juice, simple syrup and mango puree. Cap the shaker and shake vigorously for 15-20 seconds. 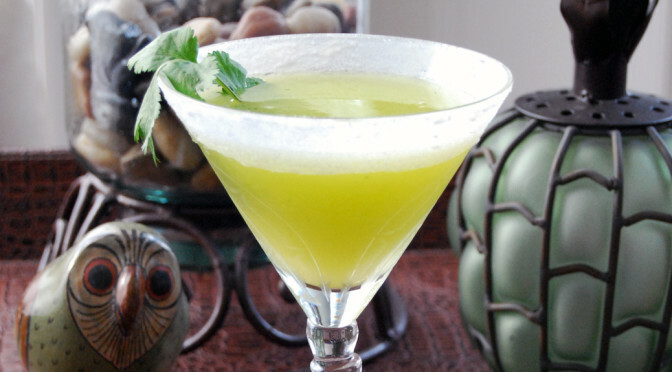 Double strain (to remove large cilantro pieces) into a 10 oz chilled martini glass with a sugared rim. Garnish with a fresh sprig of cilantro. Every Friday at our office, we have a happy hour party that we call “Snacky,” and this past week’s theme was “heaven and hell” which inspired the creation of this drink. I hastily threw a version of this together to capture both heaven and hell in a single cocktail. While it was drinkable, I refined it later at home by adding the cilantro and adjusting the proportions. Years ago I came across a recipe for basil-infused Bianco Vermouth, which makes a wonderful summertime drink by adding club soda. It seemed to me that this would also make a nice alternative to regular dry vermouth in a martini. 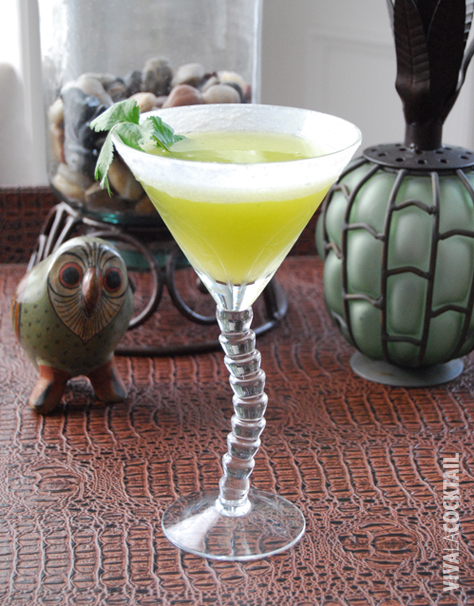 So here it is: the Basil Martini! 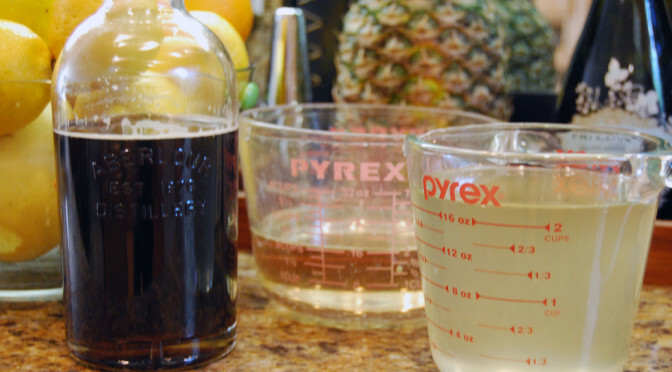 Fill a mixing glass halfway with ice. Add the vodka and vermouth. Gently stir for 20-30 seconds and strain into a chilled martini glass. 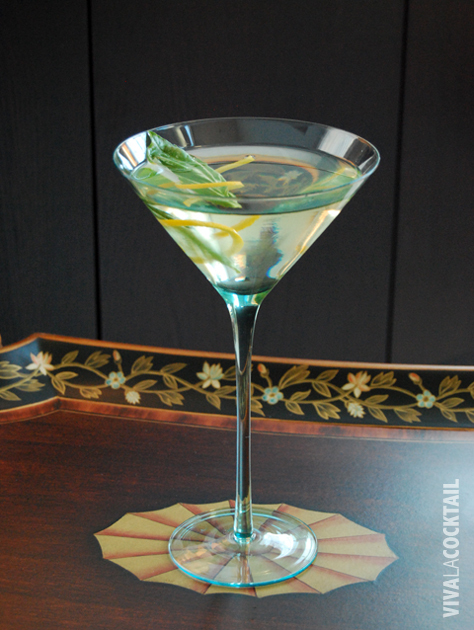 Garnish with a basil leaf and a lemon twist. I think using basil-infused vermouth is an interesting alternative to infusing the vodka. 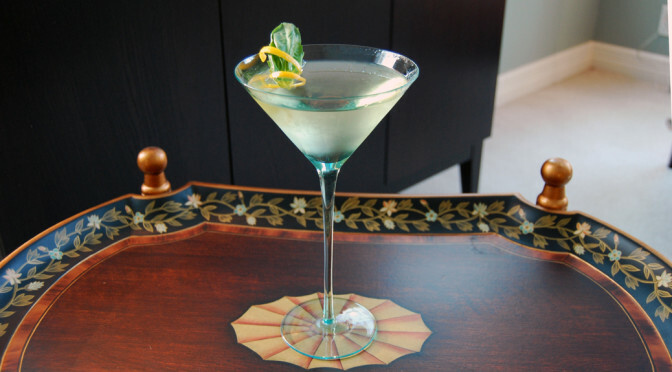 It’s more of a throwback to a classic martini with a twist. Try it and let me know what you think.